It’s that time of year again- when stores are filled with pre-holiday deals, when your fave TV channels are filled with holiday advertisements, when you’re filled with stress over what to buy your friends for Christmas, and when I show up filled with holiday cheer to help you out. That’s right, I’m back, with twelve gifts this time to make shopping for friends on a budget a breeze. For Your Really Basic Friend: You know that friend. Or maybe you are that friend- the one that downs Starbucks like it’s her job and was probably born in Uggs and black leggings. Now even though her (or your) Instagram is probably filled with pictures of that Urban D ecay makeup palette with a heart eyes emoji next to it, let’s be real- it’s $54, and we’re on a high school budget here. Instead, get her the Natural eye shadow palate from Forever 21 (basic girls love Forever 21) and maybe you’ll get a heart eye emoji too. 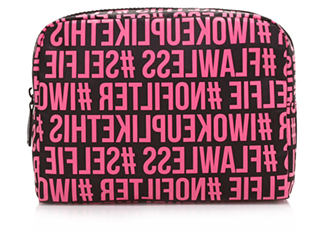 Throw it in a Hashtag Makeup Bag (#iwokeuplikethis) and you’ll totally be bae. For Your Loving Boyfriend: Nobody wants to be that person who buys their boyfriend scented body wash for Christmas… but yes you do. Getting him a kit full of amazing smelling lotion and body products is not only good for your budget, but good for you too. Really, what could be better than having your guy smell like yummy cedarwood all the time? Also, the kit comes with flavored lip balm, and I’ll let you come to your own conclusions about that… And if you want to let your guy know how much you *heart eyes emoji* him in a silly way, get him a Pixel Heart Changing Mug- he’ll love the video game reference. 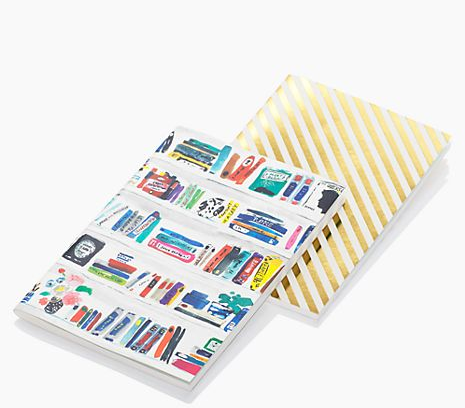 For Your Writerly Bestie: She carries a notebook around with her all the time and is notorious for ignoring the precalc teacher to write in it. You’re pretty sure that she’s going to become the next great American novelist, but you don’t know why- she never lets you look into her notebooks. Even so, make sure she stays stylish while writing with some fancy notebooks. Not only will she carry them around everywhere, they’ll look good with any outfit she wears. Maybe she’ll write you a poem out of gratitude! And if she happens to be a Mean Girls fan (I mean, who isn’t) get her a set of Mean Girls themed pencils for her to write her totally fetch thoughts with. For Your Adoring Girlfriend: Your guys may make fun of you for how devoted (they may have used the term “whipped”) you are to your girlfriend, but you (probably) don’t care. This might be your first Christmas with your girl, but even if it’s not, you want it to be special. 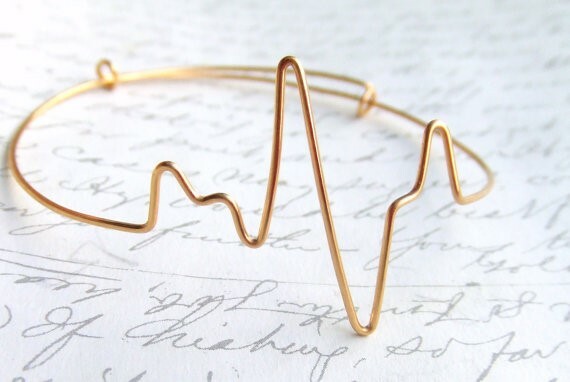 Show her that your heart beats for her (cheesy, I know, but deal with it) with a heartbeat bangle bracelet. It’s so sweet you might just become the #bestboyfriendever. Trust me on this one. You can also show your devotion through a Bath and Body Works set appropriately entitled Mad About You- it’s impossible to go wrong with Bath and Body Works, especially since it’s in such a pretty box. For Your Squad: You love your squad- you probably couldn’t make it through four years at Hamden High without them. You want to treat everyone in it with a special holiday gift, but the thing is, there are just so many of them. 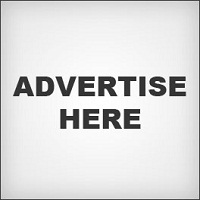 It’ll be nearly impossible to get every single friend a personalized gift without breaking the bank or losing your mind. So why not show the world how great your squad is by getting everyone matching pajama bottoms? Then you can roll into pajama day looking as cool as you know you are. Even the guys in your squad should get a pair- they’ll just pretend not to care. And if you’re feeling really generous, throw in a pair of fuzzy socks. Literally everyone loves fuzzy socks. For That Friend Who Will Eat Anything: You know, that one guy who would eat a worm on a dare. He probably has eaten a worm on a dare, actually. 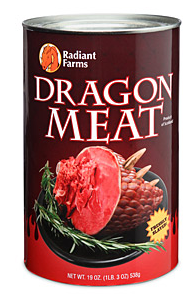 Celebrate your friend’s willingness to at least sample absolutely anything by getting him a can of fresh dragon meat. Okay, so while it isn’t real dragon meat, he’ll probably get a laugh of having a stuffed dragon head in a can. And if you really want to test his palate, get him a box of Sriracha candy canes. Maybe you can try one yourself- tis the season after all.